Hello, my name is William Chamberlain. I am a husband, father, teacher, adjunct professor and an all-round overly busy guy. I work in the same elementary school I attended as a child. This school is special because my father, William, and uncle, Ross Pew, both graduated from it when it was a K-12 school. My grandmother Mary Jane Chamberlain, grandfather Rex Chamberlain, and great aunt Mildred Timpken, all had a stint teaching here. That is why I care deeply about my community. I received a BS in Elementary Education from Missouri Southern State University and a MA in Curriculum and Instruction from William Woods University. I am a trained eMINTS teacher as well as a facilitator for the Wet, Wild, and Learning Tree projects. I teach junior high social studies at Noel Elementary school in Noel, Missouri. I am also an adjunct professor for Crowder College where I have taught Foundations of Education, Technology for Teachers and a class on Microsoft Office. I presented a session at METC in February 2011 on Comments4Kids, a blog and hash tag on Twitter that promotes the leaving of comments on student and teacher blog posts. In June of 2011 I was a guest on The Tightwad Teacher podcast talking about how the internet allows us to experience the world. 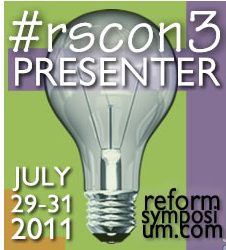 In July of 2011 Paula Naugle and I presented on student blogging at The Reform Symposium. I facilitated a session at #EdCampStL in February 2012 called Leave Your Technology at the Door. I presented a session at METC February in 2012. The session was Differentiating Instruction Using Basal Readers. 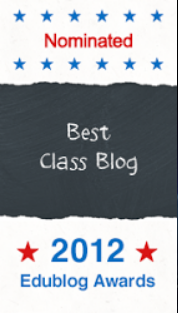 I presented a session on student blogging at the Joplin Technology Summit in 2012. Here is a link to an article from the Joplin Globe where I am quoted. I facilitated a session at #EdCampStL in February 2013 on playing ukuleles. It was a lot of fun to share my musical interest with my friends. I am a 2013 METC Midwest Spotlight Educator and presented sessions on student blogging and student video reflections. In September I presented a session on blogging for the Missouri Gifted Educator Conference and the MOREnet Conference in the same week! 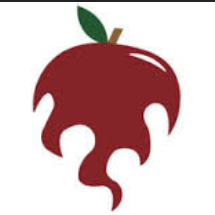 I facilitated at #EdCampKC, #EdCampWichita, and #EdCampSpringfield in 2013 and 2014 on a variety of topics. I have been a guest on several BAM Radio education podcasts. 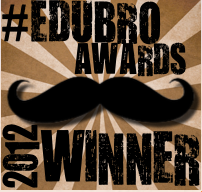 I am a moderator for #EdChat, the largest education chat on Twitter. It happens on Tuesdays at 12 and 7 PM EST. Strangely enough (thanks to Dr. John Strange) I have a scholarship award named after me at the University of South Alabama. Go Jaguars!. 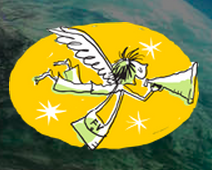 I am a Den Star and a Fablevision Ambassador and a member of the Been for Education Advisory Board. 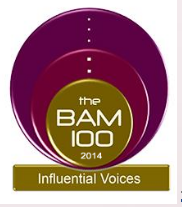 I am a member of the Council of Peers for the Bammy Awards as well as a Bam Radio 100 Most Influential Voices of 2014. 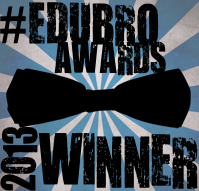 My blogs Mr. C's Class Blog, Comments4Kids, and my former professional At the Teacher's Desk have all received nominations for the Edublog Awards. When I am not in class I can often be found on Twitter, following the University of Arkansas sports programs, reading, playing video games, or at church. I also like to listen to music, podcasts, and audio books. My new hobby is playing this ukulele, which I am sharing with my class.